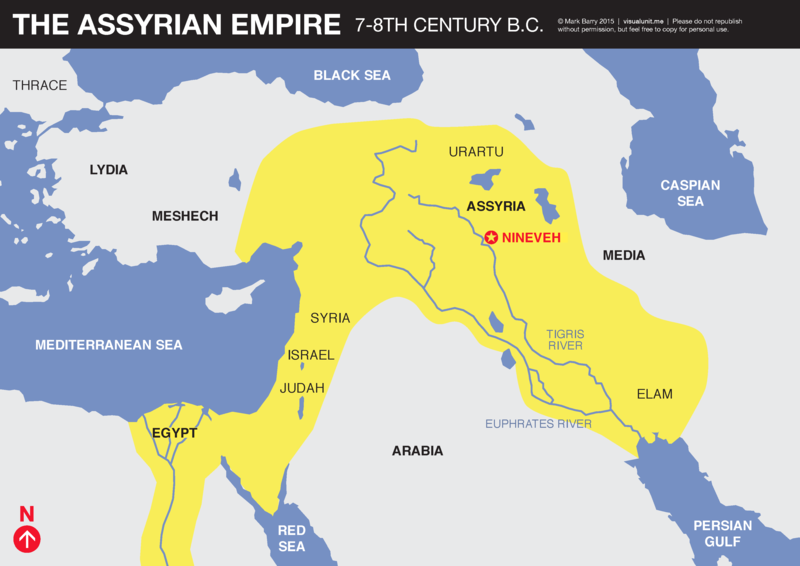 A simplified map of the Assyrian Empire in the 7th and 8th centuries B.C. PDF version. This entry was posted in English and tagged empire, map, Old Testament. Bookmark the permalink. Thank you so much for your effort and generosity. I am from Assyrian background and studying about my ancestors’ strengths and weaknesses always teaches me how to be closer to our Lord. Sorry Mark! The link should be fixed now.